What Is the Culinary Arts Definition of Al Dente? The term al dente comes from an Italian phrase which translates as "to the tooth." When cooked al dente, pasta should be tender but still firm to the bite. It shouldn't be mush. Mushy pasta is the bane of all Italian chefs. 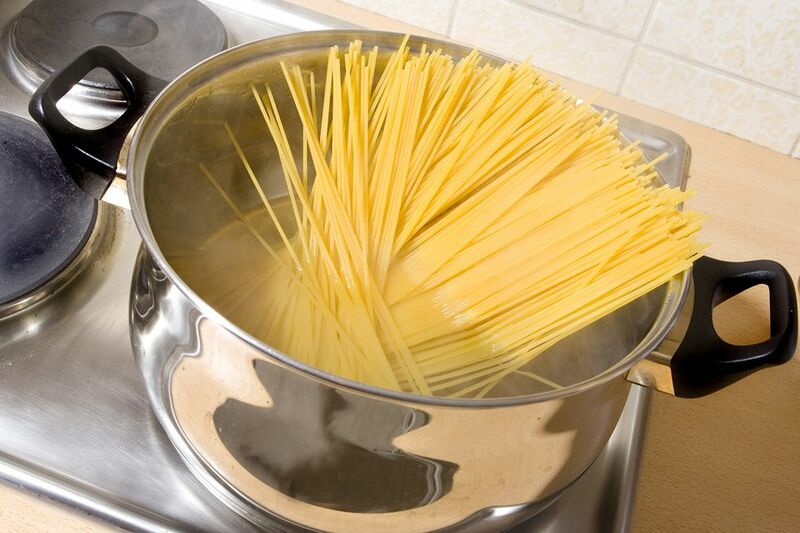 Some chefs suggest that when you bite into a piece of pasta which is cooked al dente, you should see a tiny white dot in the center of the pasta. Others say that al dente is when the dot is no longer there. The dot represents the center of the pasta is slightly undercooked. Either way, al dente pasta should have a bite to it. To test for al dente, you can start biting into the pasta a minute or two before the package instructions indicate it should be done. When you bite into it, and your teeth feel some resistance, but the pasta is still tender, you've reached al dente. ﻿Note that al dente will feel different with fresh pasta than it will with dried pasta, and fresh pasta only needs to be cooked for a brief time. Still, even with fresh, the cooked pasta should have some bite to it. Making sure you don't overcook it is even more paramount with fresh pasta, as you will have much less margin for error. What Is a Sauce Prepared À la Minute? What Does the Culinary Term Florentine Mean? Chateaubriand: Is It a Cut of Beef or a Way of Cooking It? What Does Larding Mean in the Culinary Arts? What Cut of Beef is Top Round? What to Do When the Recipe Wants Something to Be 'Blanched'? What Is Flank Steak and What's the Best Way to Cook It? Cut Through the Confusion: What Is a Cutlet, and What Is Not?